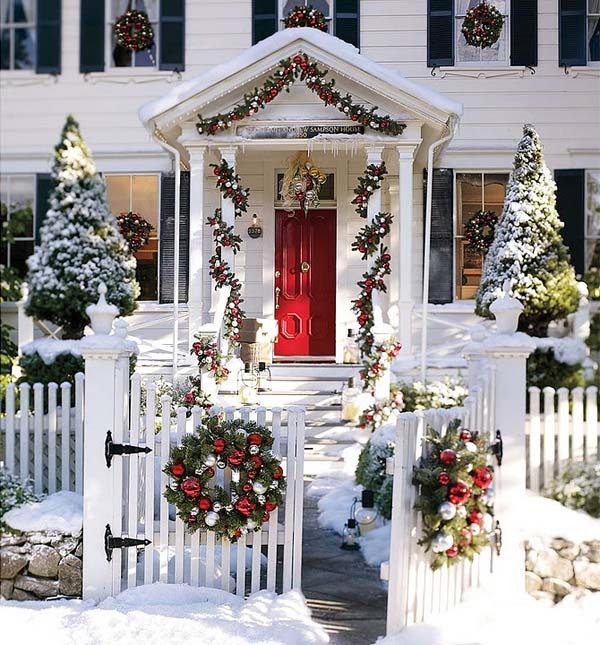 Often it can be difficult to produce effective decorations at a realistic cost to grace your home over the Christmas festive season. 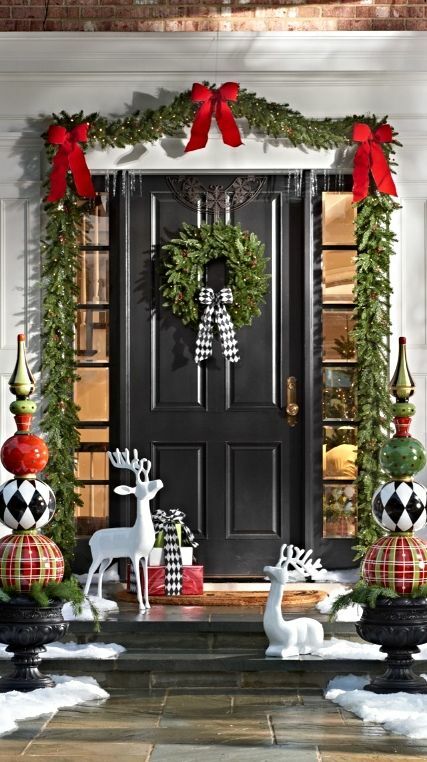 This is a time when friends and visitors arrive at your home to share good times and welcome in the festive season. 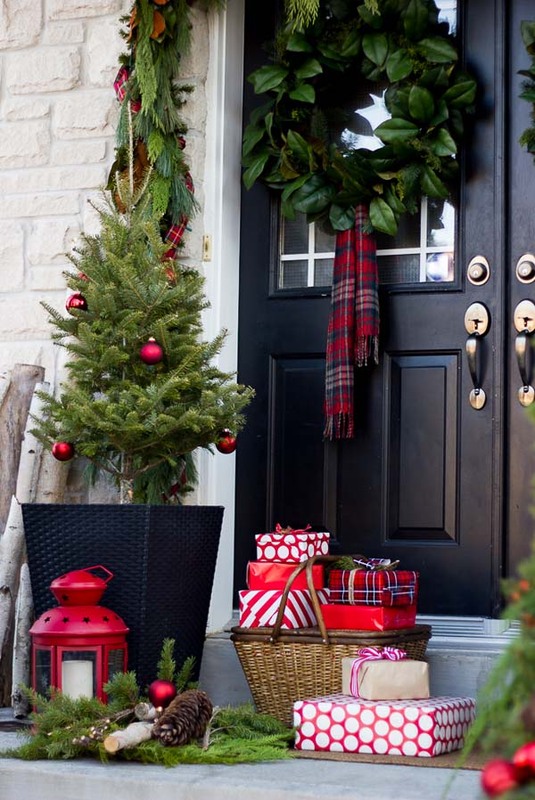 Usually, the front porch is the first place most people see, by having a warm, friendly welcoming display there, it can help to set the festive mood and make guests feel comfortable in your home. 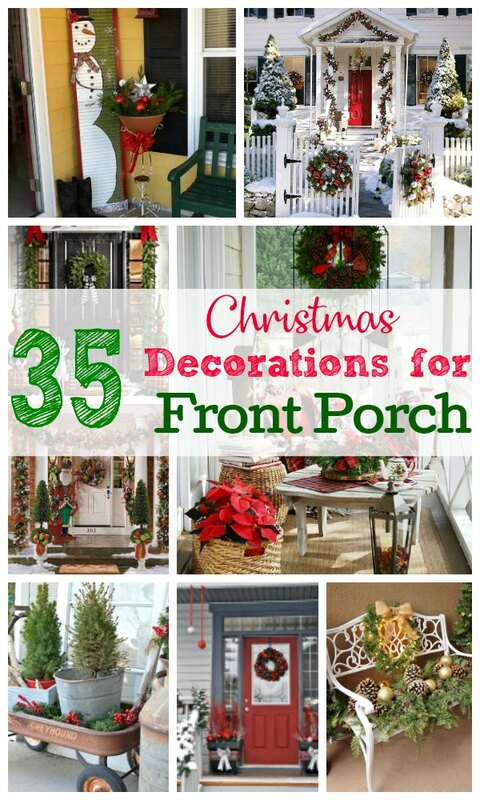 The following ideas will help to provide you with some inspiration to create your own christmas decorations for front porch. Allow your artistic abilities to take over and view these images to give you some idea of the different possibilities other people have tried. 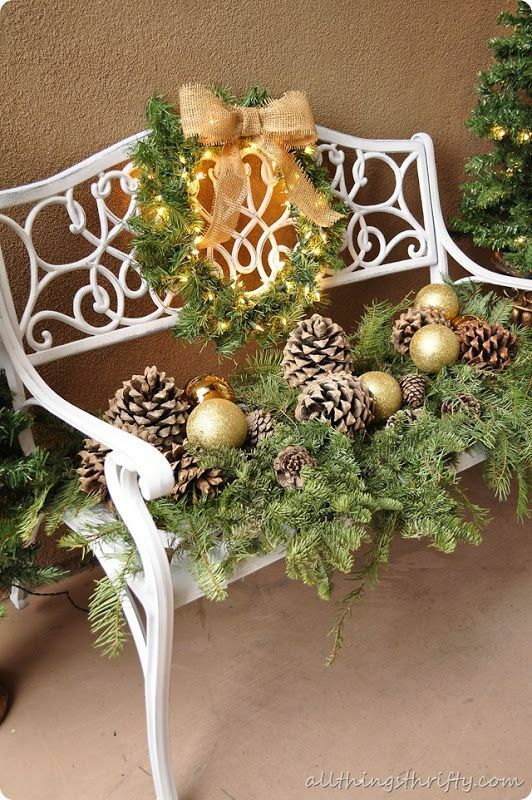 From these, you will be able to create a uniquely designed decoration right on your front porch that is truly yours, a unique Christmas decoration that complements your home and porch area. A lovely display of flower Christmas decorations combined with Father Christmas in the snow with 2 small green Christmas trees. 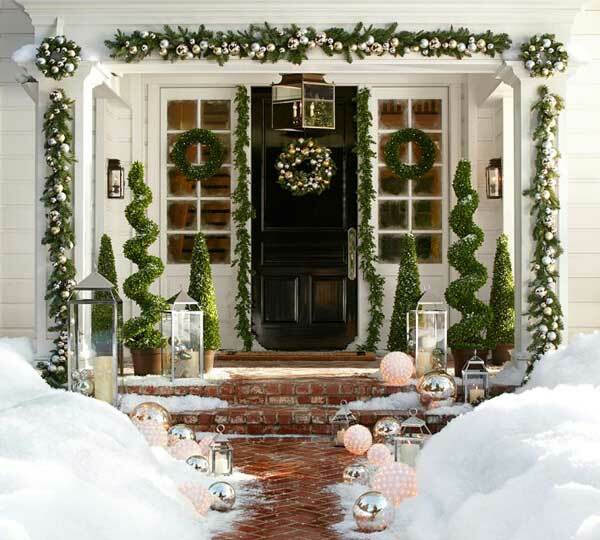 A delightful display of sculptured green Christmas trees set on a white deck at the end of a brick path in the snow. 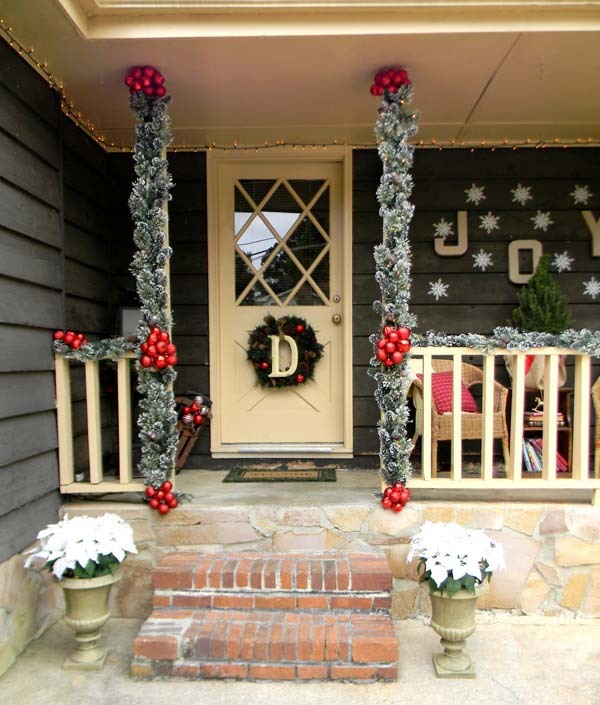 A nice contrast of the two Christmas trees and floral holy displays on the deck that highlights the above decoration, red door and dark blue window shutters. 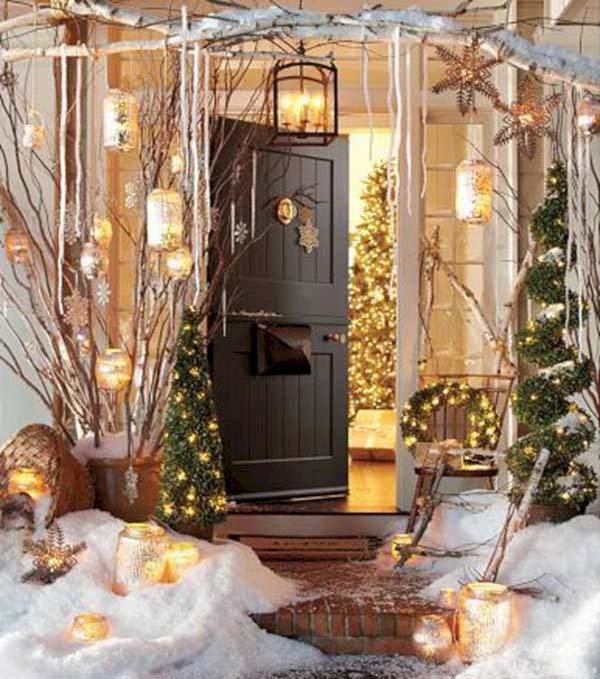 A snowy Christmas evening and open front door showing a green Christmas tree inside and lots of bright yellow lights. 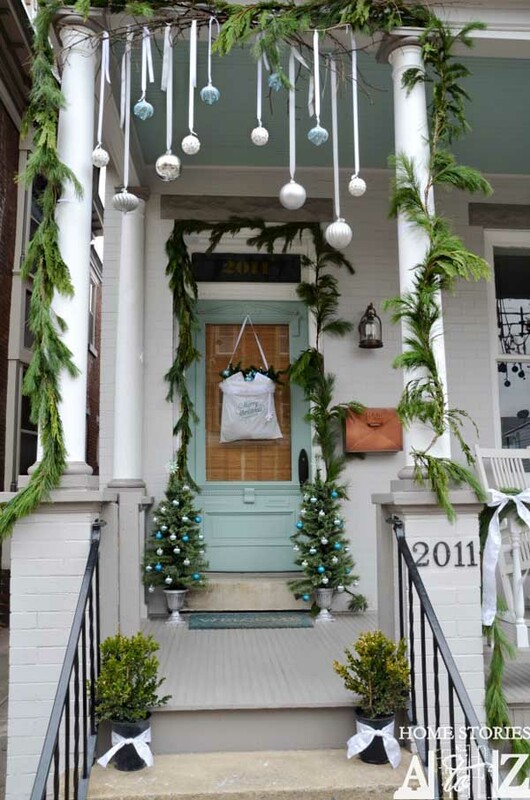 Christmas presents and a green tree on a front deck with a blue front door give this porch a Christmas feeling. 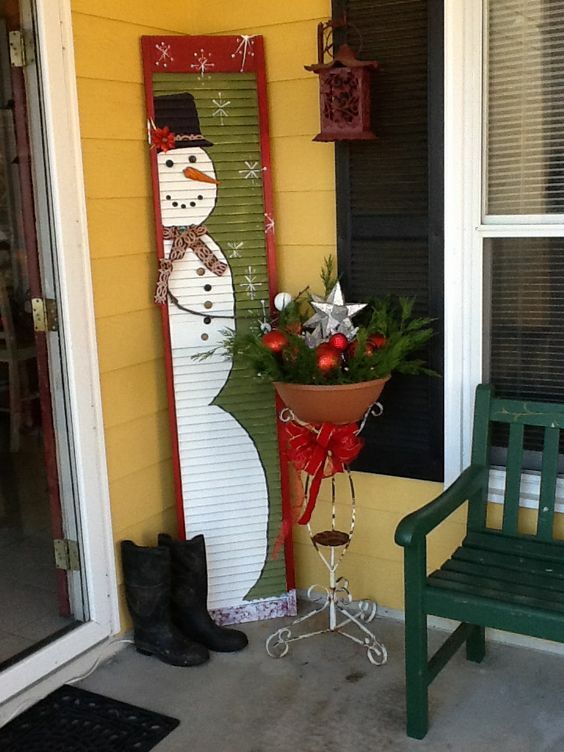 Holly and red berries decorate this deck to celebrate the festive season and great all friends and visitors that call. 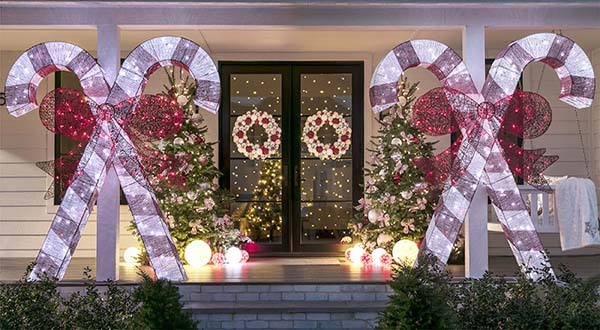 Giant Candy sticks, bright lights and an attractive door display on the double doors offsets the Christmas trees and bring a joyous feeling. 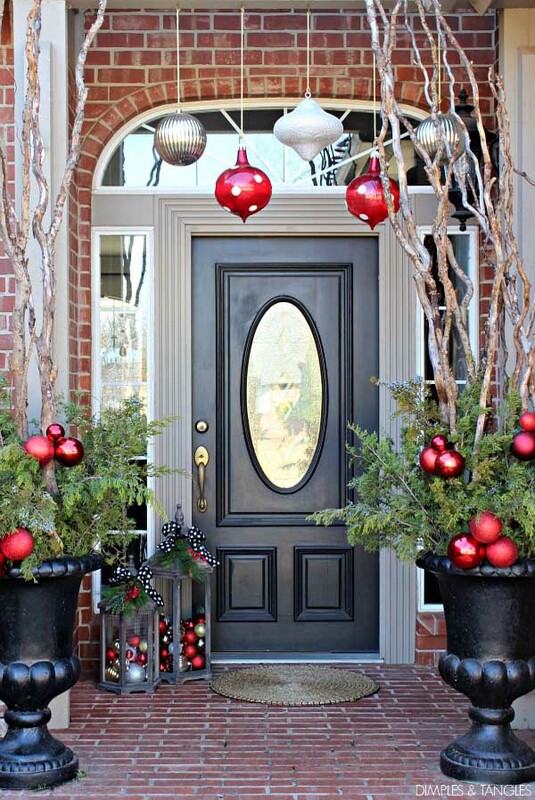 This traditional front door on a brick paved deck with looks very attractive with the black urns and green bushes decorated with red balls and large silver and red hanging spheres. 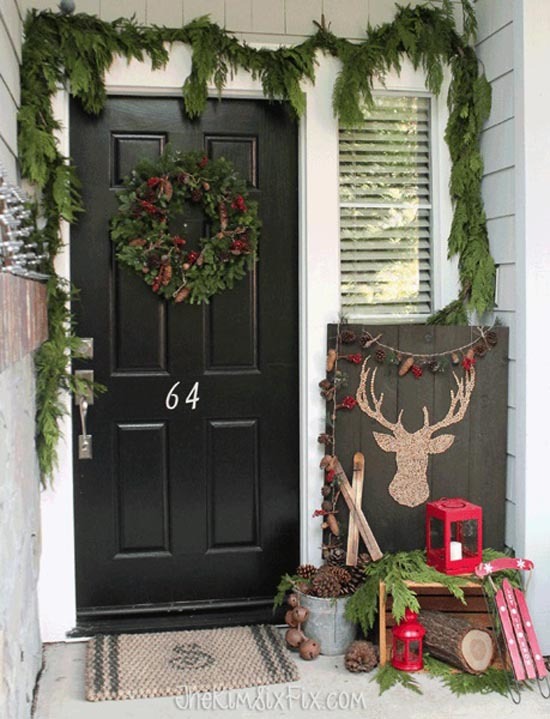 A charming modern style of decorating a deck that still gives a warm Christmassy feeling of hope and welcome to passersby. 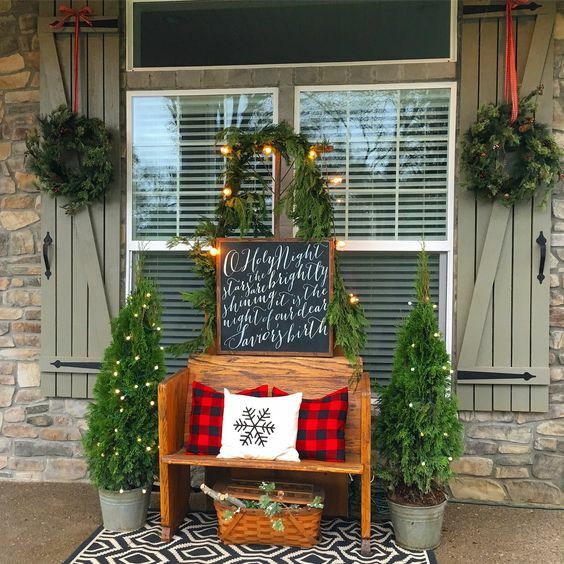 This simple display with the holly, Reindeer red lanterns and pine branches makes this small deck look inviting to friends and visitors for the festive season. 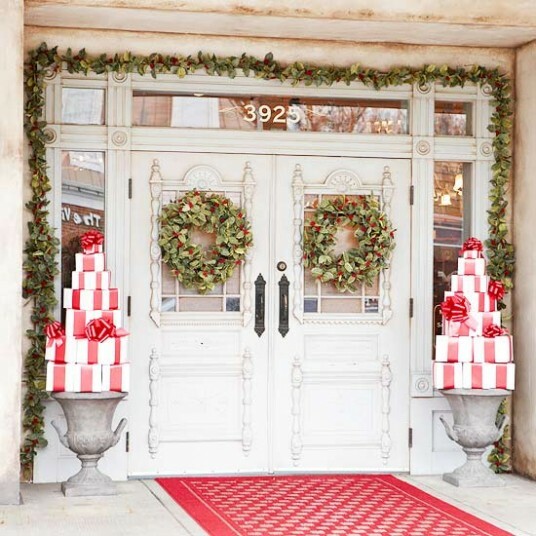 These magnificent front doors decorated with holly wreaths and the matching piles of gifts on top of earns, gives a great contrast to the red floor and white paint work. 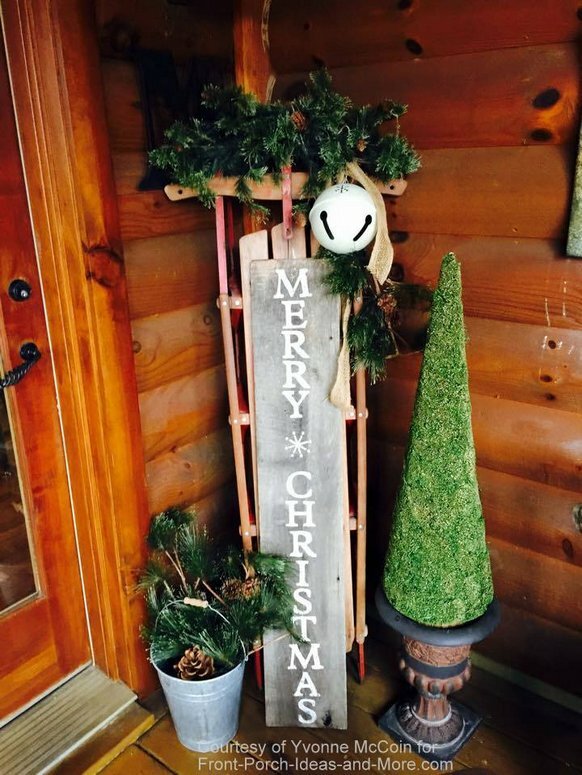 Simplicity is often the best policy when you have such lovely woodwork; this Merry Christmas sign and small conical Christmas tree are well matched to give the season’s greetings to all. 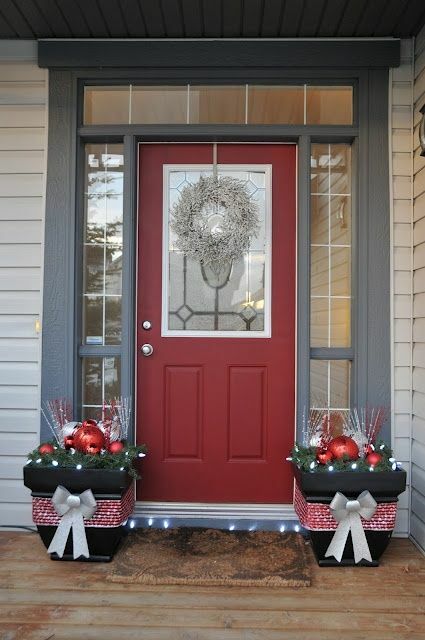 The red color of the door goes so well with the grey of the walls and the stonework, with the flower boxes and hanging spheres joining set a joyous festive decoration. 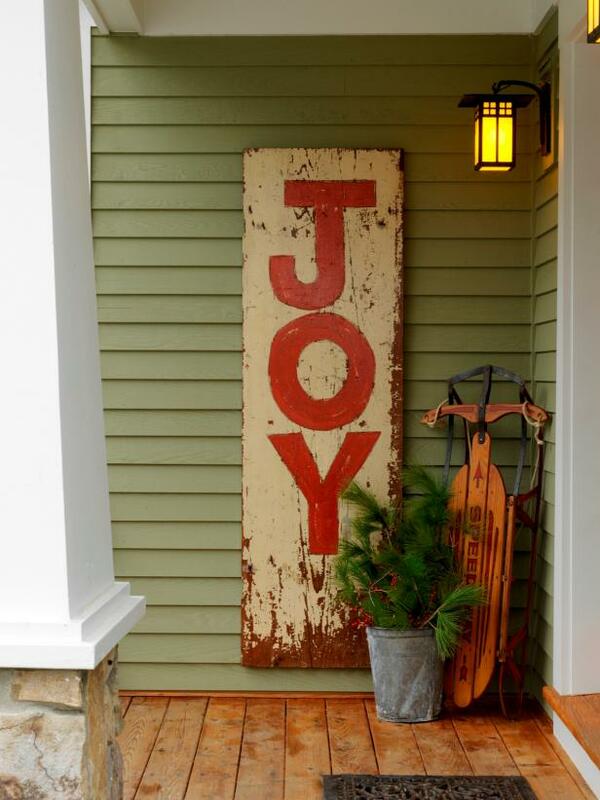 The large sign Joy and the accompanying ice sled coupled with the young pines growing in the planter set the scene for a merry festive season and fun to come. 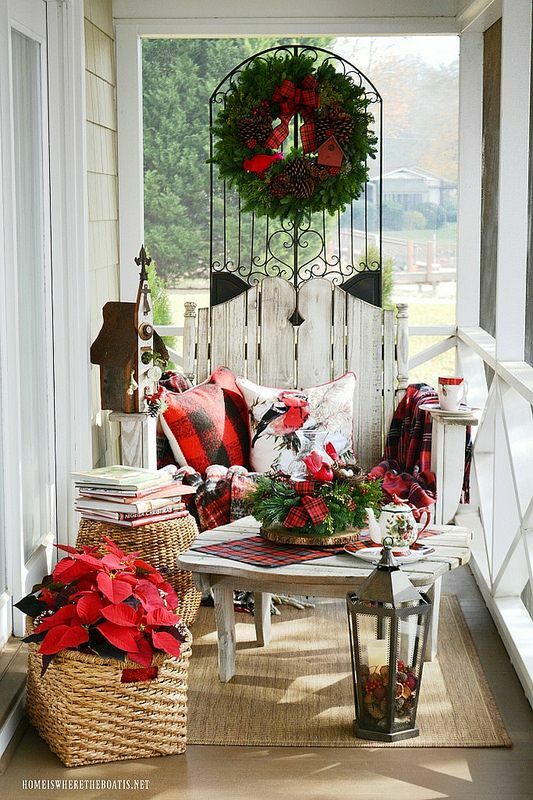 This welcoming display of a nice two seater with cushions of red and white, the two Christmas trees and holly wreath give a warm festive feeling to this deck. 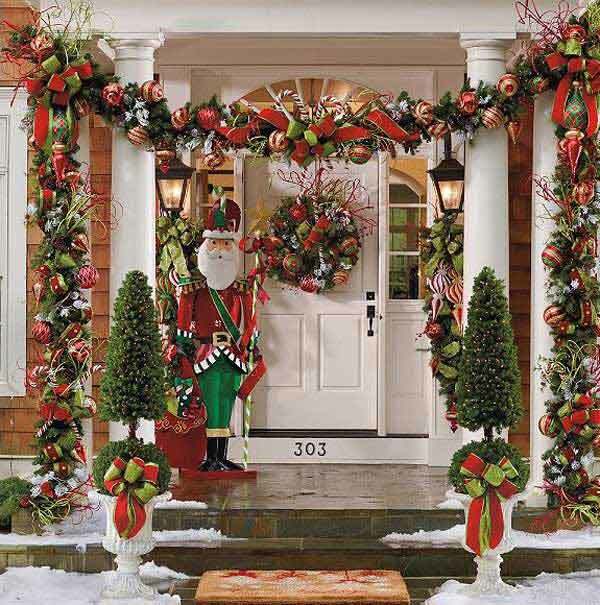 You will definitely feel welcomed with this magnificent Christmas porch decoration. The combination of plaids, white and green blended well. 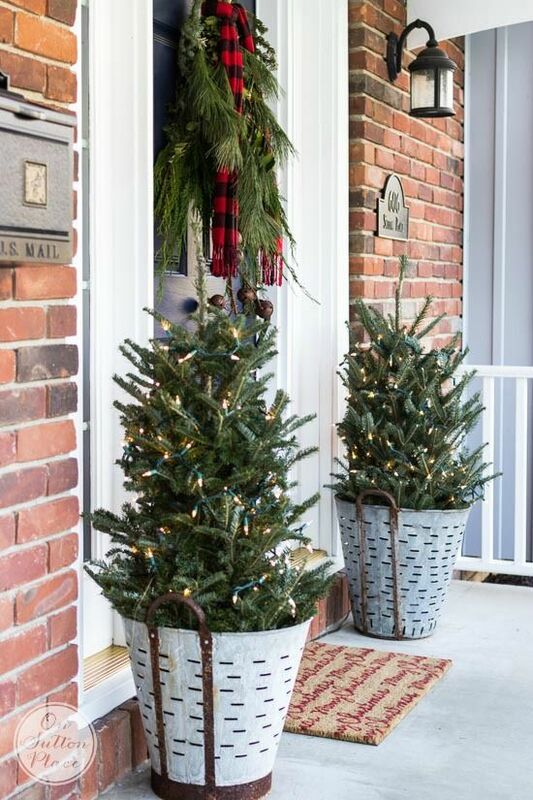 Guarding this doorway are two Christmas trees in while planters that fit so well with the natural brickwork and white painted door. 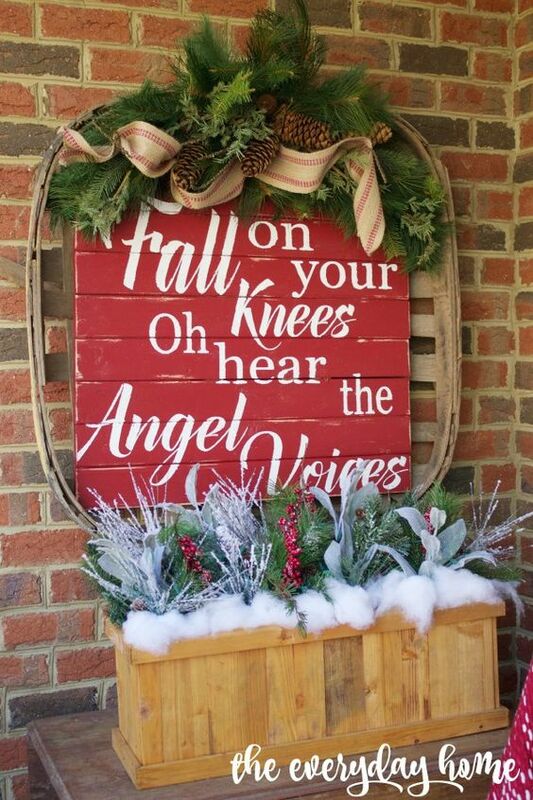 This simple Christmas message would be an inspiration to many who see it. 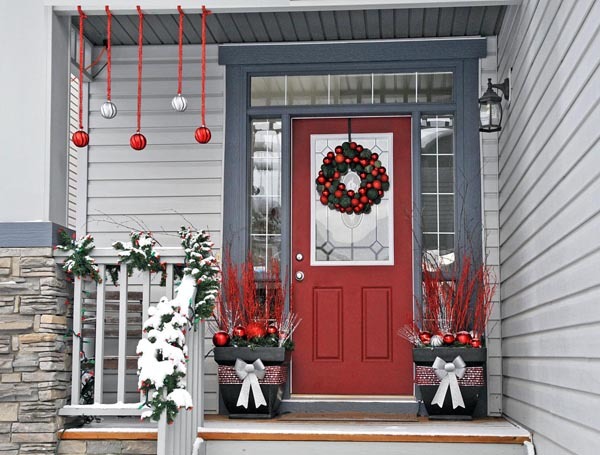 This front porch looks to be set up to enjoy the festive season with guests in its bright contrast of red and while colors. 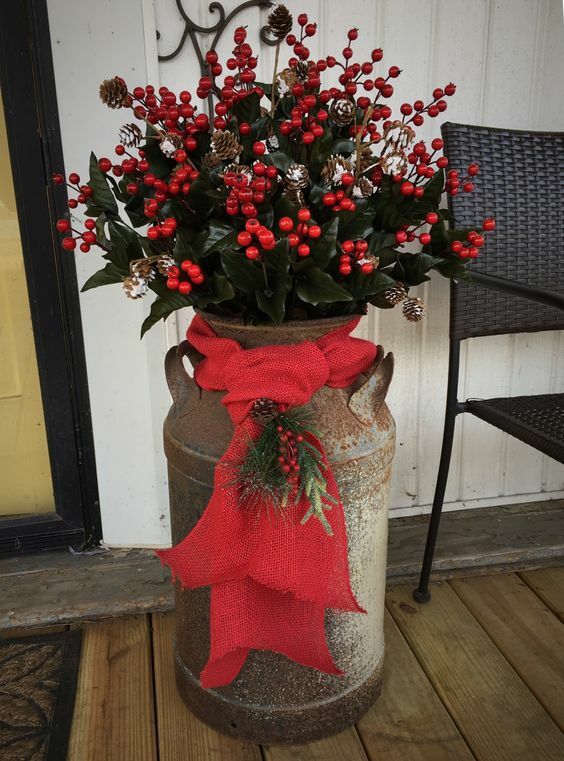 The lovely arrangement of flowers in an old milk urn is a great deck decoration that brings home the festive message. 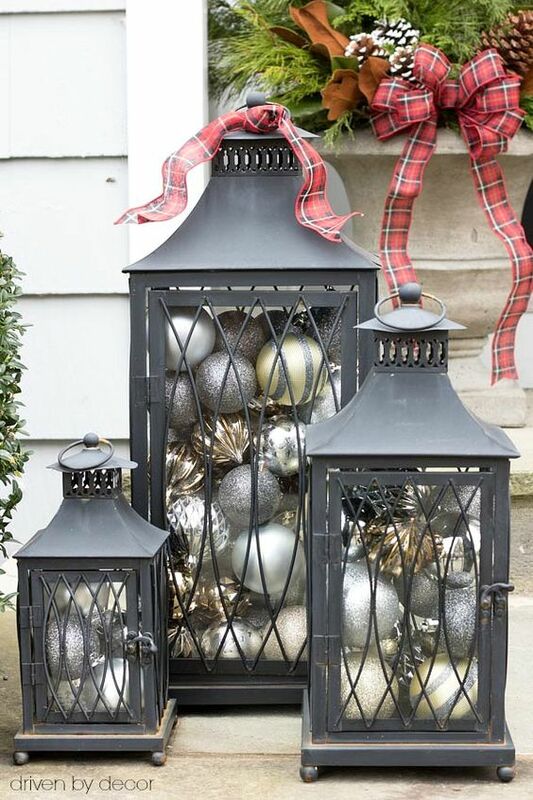 A unique decorating idea of placing Christmas decorative balls in 3 old lanterns and the use of a pink ribbon make this attractive display. 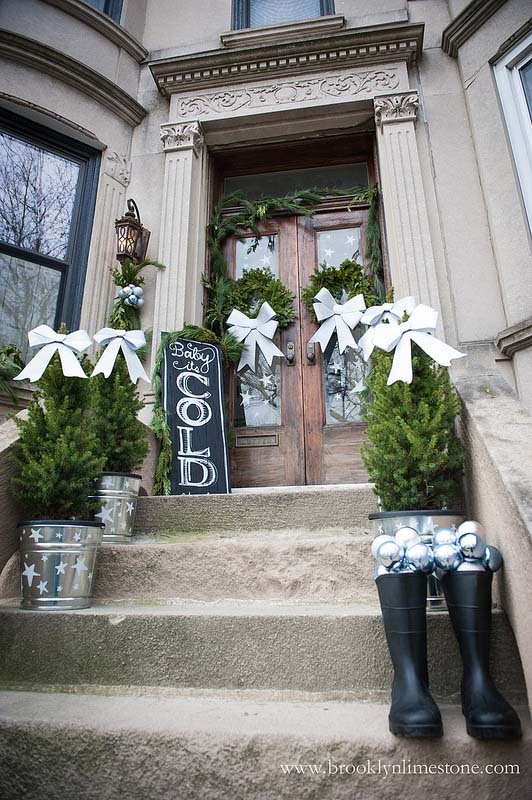 The traditional concrete entrance way is transformed with the cleaver use of multiple Christmas trees decorated with large white ribbons tied in bows. 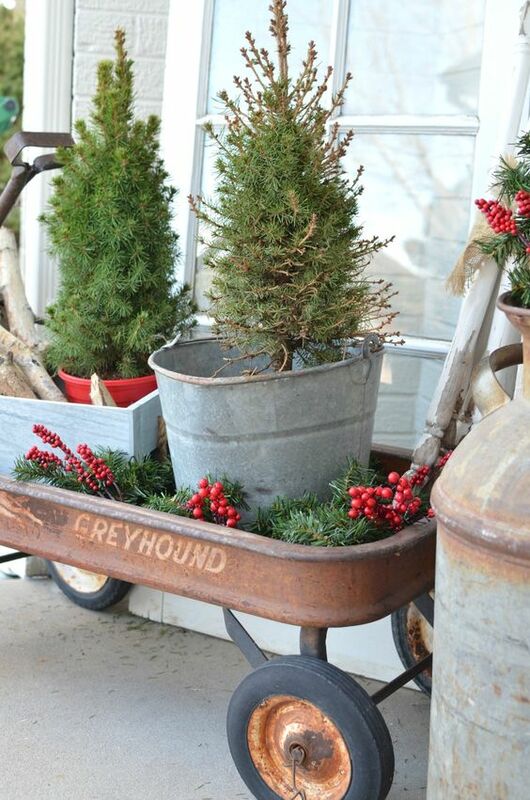 A novel way to decorate a front porch is this use of a child’s cart with several potted pine trees to suggest the Christmas spirit to all. 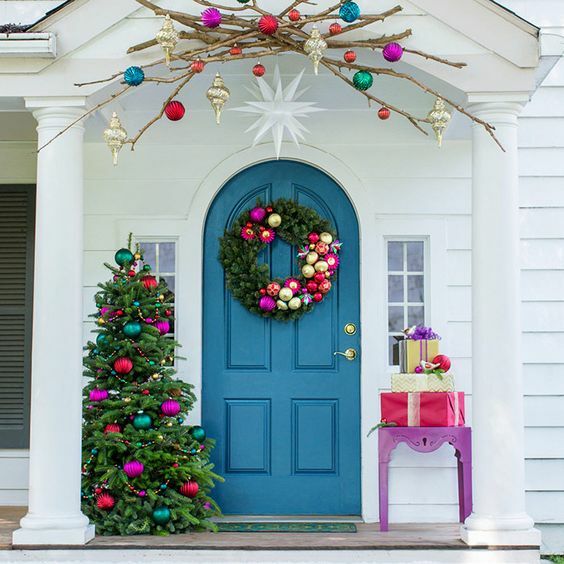 The tasteful use of colors on the Christmas tree and holly wreath and table bring to life this lovely porch decoration. The snowman brings this scene alive with the small Christmas tree in a planter showing stars and red balls to balance and set the mood. 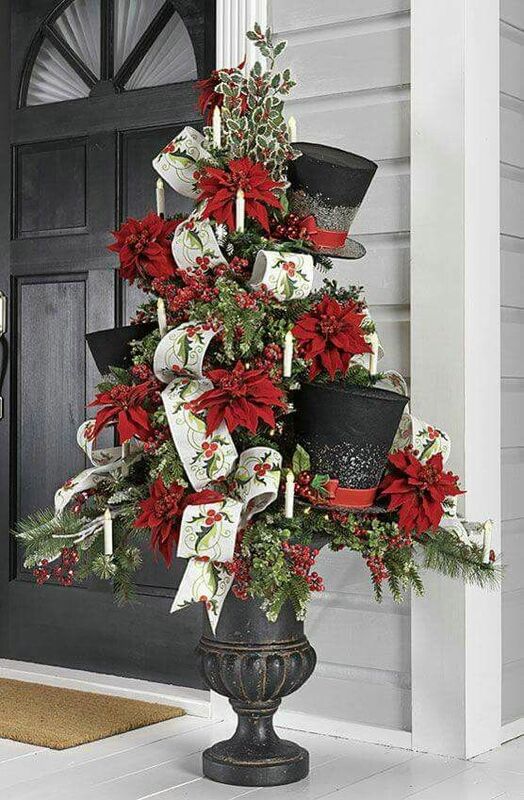 This lovely Christmas tree complete with top hats, white candles and red flowers is perfect to grace any porch or deck. 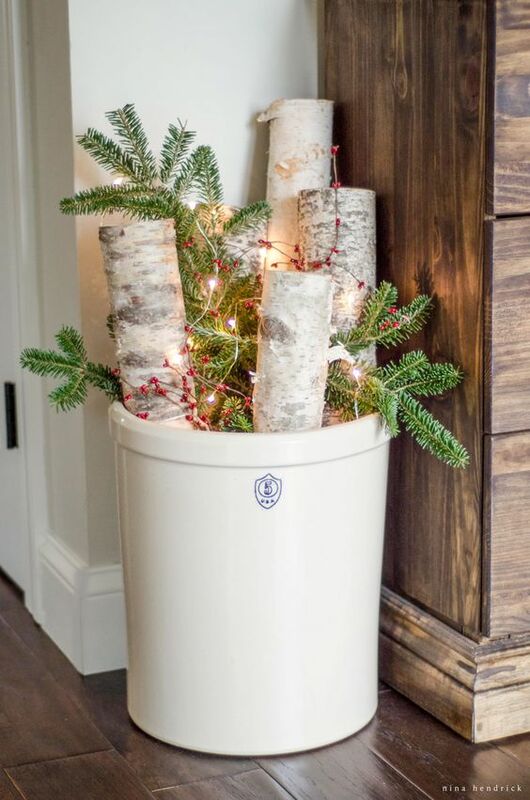 This very interesting flower decoration is perfect for placing in a corner to help greet the festive season and New Year. 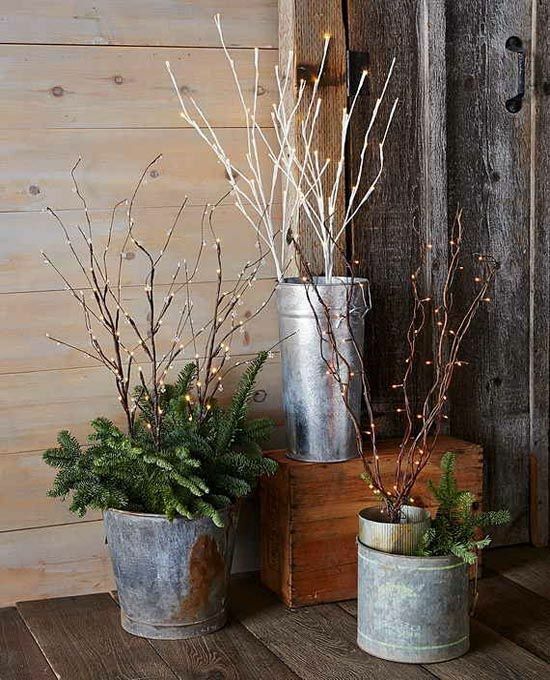 This decoration uses natural simplicity to create an interesting effect that shouts winter and the coming festive season. 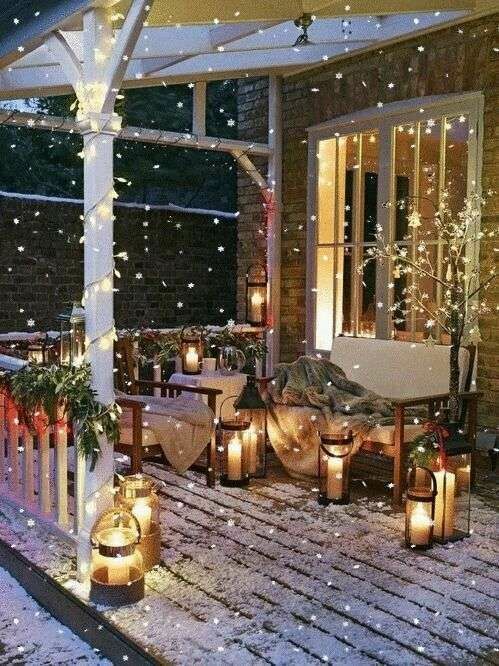 The use of candles in wind proof glass containers gives a stunning effect for this very cozy looking deck while it is snowing in the festive season. 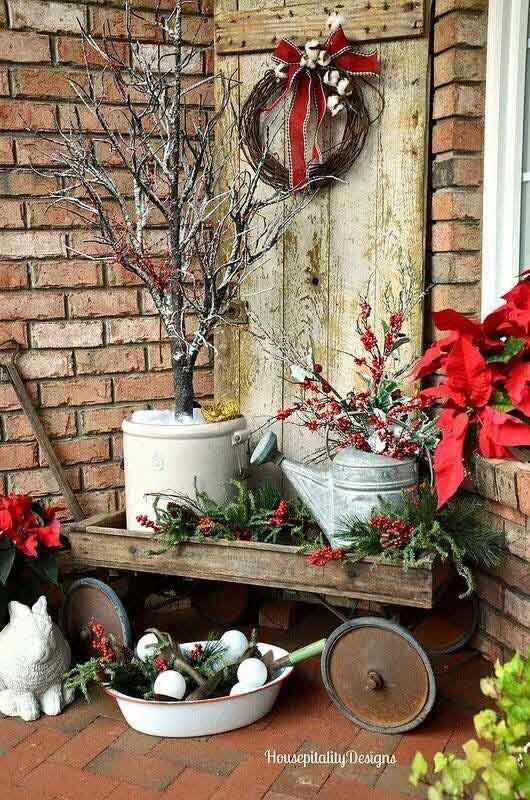 This very effective Christmas decoration is made by wrapping planter boxes that contain Christmas trees and decorations. 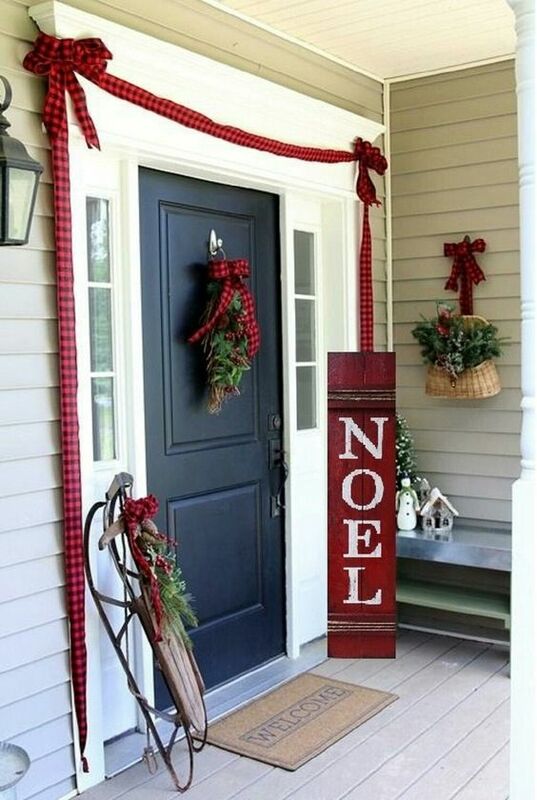 Draping a red ribbon around the doorway and placing a reef of holly and red flowers on the door adds to the effect of the sign “NOEL” to give a festive cheer. 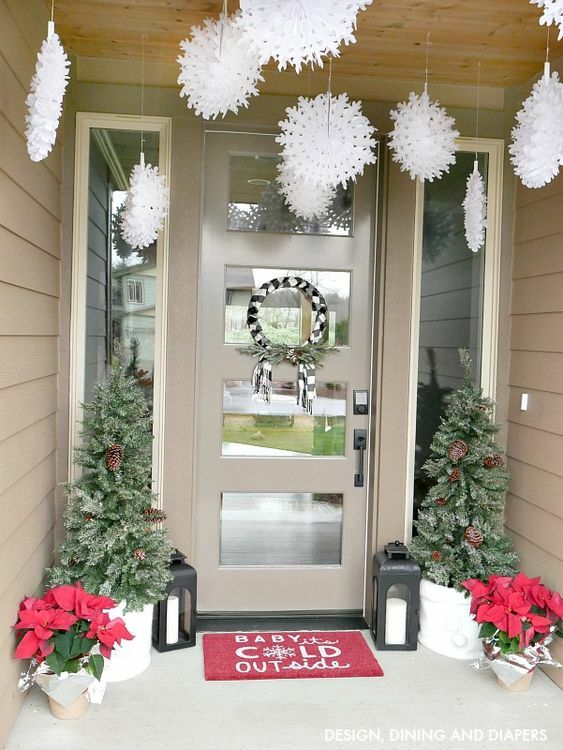 These lovely white Christmas snowflake decoration really give this porch a feeling of being in the snow with the added touch of green Christmas trees and red flowering pot plants, calling to the festive season. 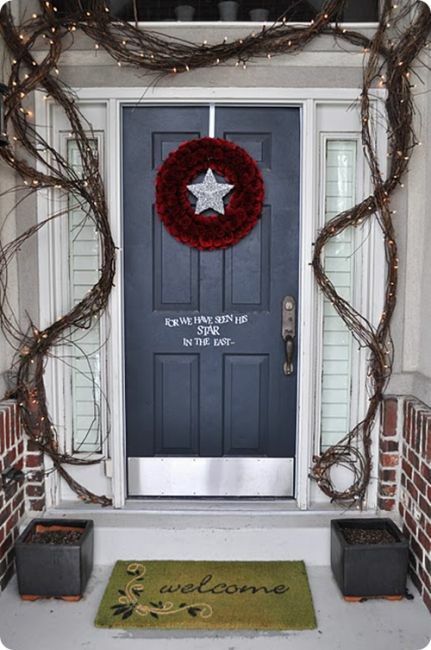 This porch will come alive at night when the flashing lights bring it to its best.